A group of Bottesford Senior Girl Guides and leaders preparing for a show. 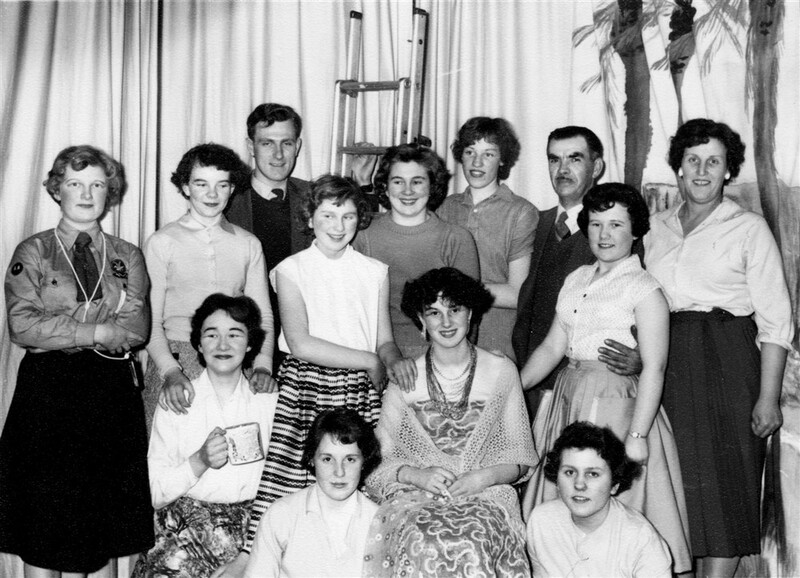 Back row, L to R: Katherine Samuel, Margaret Dunsmore, John Simpson, Joy Bagley, Barbara Taylor, Simpson, Frank Wilkinson (Snr), ?, Mrs Taylor. Front row, L to R: Margaret Pearson, Maureen Cooper, Anne Dunsmore, Jill Howitt. The location may be either the hall at the High School or the stage in the village hall (the VC Hall).